Write following sentence in all types of Present Tense with Affirmative, Negative, Interrogative ( Simple, Negative and 'Wh') forms. She paints a beautiful picture. She does not paint a beautiful picture. Does she paint a beautiful picture? Does she not paint a beautiful picture? Who paints a beautiful picture? She is painting a beautiful picture. She is not painting a beautiful picture. Is she painting a beautiful picture? Is she not painting a beautiful picture? Who is painting a beautiful picture? She has painted a beautiful picture. She has not painted a beautiful picture. Has she painted a beautiful picture? Has she not painted a beautiful picture? Who has painted a beautiful picture? She has been painting a beautiful picture for two hours. She has not been painting a beautiful picture for two hours. Has she been painting a beautiful picture for two hours ? Has she not been painting a beautiful picture for two hours? Who has been painting a beautiful picture for two hours? Write the following sentence in all types of Past Tense with Affirmative, Negative, Interrogative ( Simple, Negative and 'Wh') forms. She painted a beautiful picture. She did not paint a beautiful picture. Did she paint a beautiful picture? Did she not paint a beautiful picture? Who painted a beautiful picture? She was painting a beautiful picture. She was not painting a beautiful picture. Was she painting a beautiful picture? Was she not painting a beautiful picture? Who was painting a beautiful picture? She had painted a beautiful picture. She had not painted a beautiful picture. Had she painted a beautiful picture? Had she not painted a beautiful picture? Who had painted a beautiful picture? She had been painting a beautiful picture for two hours. She had not been painting a beautiful picture for two hours. Had she been painting a beautiful picture for two hours ? Had she not been painting a beautiful picture for two hours? Who had been painting a beautiful picture for two hours? Write the following sentence in all types of Future Tense with Affirmative, Negative, Interrogative ( Simple, Negative and 'Wh') forms. She will paint a beautiful picture. She will not paint a beautiful picture. Will she paint a beautiful picture? Will she not paint a beautiful picture? Who will paint a beautiful picture? She will be painting a beautiful picture. She will not be painting a beautiful picture. Will she be painting a beautiful picture? Will she not be painting a beautiful picture? Who will be painting a beautiful picture? She will have painted a beautiful picture. She will have not painted a beautiful picture. Will she have painted a beautiful picture? Will she have not painted a beautiful picture? Who will have painted a beautiful picture? She will have been painting a beautiful picture for two hours. She will not have been painting a beautiful picture for two hours. Will she have been painting a beautiful picture for two hours ? Will she not have been painting a beautiful picture for two hours? Who will have been painting a beautiful picture for two hours? Change the following sentences into Present Indefinite Tense. 1. They did not fulfill their promises. 2. The farmers were sleeping under a tree. 3. She finished her work in time. 4. The teacher will teach us a lesson. 5. Who has solved this sum? Change the following sentences into Present Perfect Tense. 1. Whose book did you borrow ? 2. Was the child crying ? 3. She had finished her work. 4. He had been waiting for me. 5. She will not sing a song. Change the following sentences into Past Continuous Tense. 1. Her mother told her a story. 2. He goes to his office in the morning. 3. It is raining heavily. 4. She had sung a beautiful song. 5. His father will run a factory. Change the following sentences into Future Continuous Tense. 1. Have you solved the problem ? 2. The students did not do their home work. 3. He had not appeared in the examination. 4. Where did his brother go? 5. He has not finished his work. Change the following sentences into Future Perfect Tense. 1. He has borrowed money from his brother. 2, Which book is she reading? 3. The shopkeeper did not sell all the books. 4. The children are making a noise. 5. The players have played a match. Change the following sentences into Past Perfect ContinuousTense. 1. Who has drawn this beautiful picture? 2, Where were you living? 3. The teacher is teaching the students. 4. His mother is waiting for him. 5. His father was not working in this office. Change the following sentences as directed. 1. His brother had already reached home. 2. She finished her work. 3. The servant is cooking food for the guests. 4. They have gone to see his college. Identify Tense of the following sentences. 1. Where had you been for such a long time? 2. He will have been running this for the last one year. 3. He has not made up his mind to take the examination yet. 4.What were the members quarrelling over? 5. Finally the house will accept his proposal. I see an old woman in torn and shabby clothes standing on the side of a road. She is shivering with cold. She wants to cross the road. But she is not able to cross the road. Nobody takes notice of her standing there. She looks around for some help. But nobody comes to help her. She finds a school situated nearby. All of sudden she hears the sound of a bell ringing. Students start coming out of the school. One small boy comes to her and asks what she wants. She tells him that she wants to cross the road. The boy catches hold of her hand and takes her across the road. He shows her the way ahead. The old woman gives that boy a thousand blessings. He happily moves towards his home. I shall get up early in the morning. I shall go to my friend's house. I shall take him along with me. We both will start for a morning walk. We shall go to the river bank for a walk. A cool breeze will blow. Birds will chirp in trees. On our way we will come across a number of persons going for a walk. Some people will enjoy gossiping while sitting on grass. We shall take some exercise there. After an hour or so we shall start for our home. We shall have a very good time there. This will keep us very active throughout the day. Researchers and Philosophers try to capture and define 'Happiness'. They quantify it and compile a list of the happiest countries in the world. They use a tedious process and take various factors into account to prepare it. Contrary to the common belief they do not include the mighty and rich countries in this list. Surprisingly countries like Denmark, Norway, Switzerland, Canada, Iceland and New Zealand being the happiest countries mark the list as toppers. This year they find Finland as the topper of the list. These seemingly small countries beat the capitalist giants like US and UK in the World Happiness Index. Harsh climate in these countries does not dampen their spirit. Thus having high income, access to luxuries, fasting for gods and reading religious scriptures does not make a man happy. Perhaps due to this reason, India has figured at 133rd among 156 countries on the list. 1. They do not fulfill their promises. 2. The farmers sleep under a tree. 3. She finishes her work in time. 4. The teacher teaches us a lesson. 5. Who solves this sum? 1. Whose book have you borrowed ? 2. Has the child cried ? 3. She has finished her work. 4. He has waited for me. 5. She has not sung a song. 1. Her mother was telling her a story. 2. He was going to his office in the morning. 3. It was raining heavily. 4. She was singing a beautiful song. 5. His father was running a factory. 1. Will you be solving the problem ? 2. The students will not be doing their home work. 3. He will not be appearing in the examination. 4. Where will his brother be going? 5. He will not be finishing his work. 1. He will have borrowed money from his brother. 2, Which book will she have read ? 3. The shopkeeper will not have sold all the books. 4. The children will have made a noise. 5. The players will have played a match. Change the following sentences into Past Perfect Continuous Tense. 1. Who had been drawing this beautiful picture for two hours? 2, Where had you been living since 2000? 3. The teacher had been teaching the students since morning. 4. His mother had been waiting for him for two hours. 5. His father had not been working in this office for one year. 1. His brother will have already reached home. 2. She has finished her work. 3. The servant had been cooking food for the guests for two hours. 4. They will be going to see his college. 2. Future Perfect Continuous Tense. I saw an old woman in torn and shabby clothes standing on the side of a road. She was shiveri tong with cold. She wanted to cross the road. But she was not able to cross the road. Nobody took notice of her standing there. She looked around for some help. But nobody came to help her. She found a school situated nearby. All of sudden she heard the sound of a bell ringing. Students started coming out of the school. One small boy came to her and asked what she wanted. She told him that she wanted to cross the road. The boy caught hold of her hand and took her across the road. He showed her the way ahead. The old woman gave that boy a thousand blessings. He happily moved towards his home. I got up early in the morning. I went to my friend's house. I took him along with me. We both started for a morning walk. We went to the river bank for a walk. A cool breeze blew. Birds chirped in trees. On our way we came across a number of persons going for a walk. Some people enjoyed gossiping while sitting on grass. We took some exercise there. After an hour or so we started for our home. We had a very good time there. This kept us very active throughout the day. Researchers and Philosophers have tried to capture and define 'Happiness'. They have quantified it and have compiled a list of the happiest countries in the world. They have used a tedious process and have taken various factors into account to prepare it. Contrary to the common belief they have not included the mighty and rich countries in this list. Surprisingly countries like Denmark, Norway, Switzerland, Canada, Iceland and New Zealand being the happiest countries have marked the list as toppers. This year they have found Finland as the topper of the list. These seemingly small countries have beaten the capitalist giants like US and UK in the World Happiness Index. Harsh climate in these countries has not dampened their spirit. Thus having high income, access to luxuries, fasting for gods and reading religious scriptures has not made a man happy. Perhaps due to this reason, India has figured at 133rd among 156 countries on the list. In case of 1st person,2nd person singular & plural, & 3rd person plural First form of verb is used. In case of 3rd person singular, First form of Verb + ‘s’ or ‘es’ is used. In case of 1st person,2nd person singular & plural, & 3rd person plural ‘do not’ + First form of verb is used. Do or Does is used before subject & First form of verb is used. Interrogative sign is used at the end of the sentence. In case of 1st person,2nd person singular & plural, & 3rd person plural ‘Have’ + third form of verb is used. In case of 3rd person singular, ‘Has’ + third form of Verb is used. In case of 1st person,2nd person singular & plural, & 3rd person plural ‘Have not’ + Third form of verb is used. 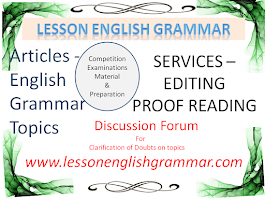 Has or Have is used before subject & Third form of verb is used. Interrogative sign is used at the end of the sentence. In case of 1st person singular ‘Am’ + First form of verb + ing is used. In case of 1st person plural, 2nd person singular and plural & 3rd person plural ‘Are’ + First form of verb+ ing is used. In case of 3rd person singular ‘is’ + First form of Verb +ing is used. ‘Is, Am or Are’ + Not + First form of verb + ing is used. ‘Is, Am or Are’ is used before subject. First form of verb + ing is used. Sign of interrogation is used. In case of 1st person, 2nd person singular & plural & 3rd person plural ‘Have been’ + First form of verb + ing is used. In case of 3rd person singular ‘Has been’ + First form of verb+ ing is used. To express time ‘for and since’ are used. ‘Has or Have + Not + been’ + First form of verb + ing is used. ‘Has or Have’ is used before subject. First form of verb + ing is used. Sign of interrogation is used. Second form of verb is used. Did +not + First form of verb is used. Did is used before Subject + First form of verb is used. Sign of interrogation is used. In case of 1st & 3rd person singular was + first form of verb +ing is used. In case of 1st person plural,2nd person + 3rd person plural, were +first form of verb + ing is used. Was or Were + not + First form of verb + ing is used. Was or Were is used before Subject +First form of verb + ing is used. Had + Third form of verb is used. Had + not + Third form of verb is used. Had is used before Subject +Third form of verb is used. Had Been + first form of verb +ing is used. To express time ‘for or since’ is used. Had + not +Been + First form of verb + ing is used. Had is used before Subject +Been+ First form of verb + ing is used. In case of 1st person singular Shall + First form of verb is used. In case of 1st person plural,second person & third person Will + First form of verb is used. Shall or Will +not + First form of verb is used. Shall or Will is used before Subject +First form of verb is used. In case of 1st person singular Shall + Have +third form of verb is used. In case of 1st person plural,second person & third person Will +Have + third form of verb is used. Shall or Will +Have+not + third form of verb is used. Shall or Will is used before Subject +Have+third form of verb is used. In case of 1st person singular Shall + Have been + First form of verb +ing is used. In case of 1st person plural, second person & third person Will +Have been + first form of verb + ing is used. To express time ‘For or Since is used. Shall or Will +Have been +not + first form of verb +ing is used. Since or For is used. Shall or Will is used before Subject +Have + third form of verb is used. Boys play a football match. Boys do not play a football match..
Do boys play a football match? Boys are playing a football match. Boys are not playing a football match..
Are boys playing a football match? Boys have played a football match.. Boys have not played a football match..
Have boys played a football match? Boys have not been playing a match for two hours..
Have boys been playing a football match for two hours? Boys played a football football match. Boys did not play a football match. Did boys play a football match? Boys were playing a football match. Boys were not playing a football match. Were boys playing a football match? Boys had played a football match. Boys had not played a football match. Had boys played a football match? Boys had not been playing a football match since morning..
Had boys been playing a football match since morning? Boys will play a football match. Boys will not play a football match. Will boys play a football match? Boys will be playing a football match. Boys will not be playing a football match..
Will boys be playing a football match? Boys will have played a football match. Boys will not have played a football match. Will boys have played a match? Boys will have been playing a football match since 2 p.m. Boys will not have been playing a football match since 2 p.m.
Will boys have been playing a football match since 2 p.m.? HE GOES TO HIS OFFICE. First Person & Second Person Singular & Plural & Third Person Plural --First form of verb is used. Third Person Singular -- First form of verb + s or es is used. He does not go to his office. क्या वह अपने कार्यालय जाता है ? Does he go to his office? क्या वह अपने कार्यालय नही जाता है ? Does he not go to his office? First Person Singular --- Am + First form of verb + ing. Third Person Singular -----Is+ First form of verb + ing. Are + First form of verb + ing. He is going to his office. He is not going to his office. क्या वह अपने कार्यालय जा रहा है ? Is he going to his office? क्या वह अपने कार्यालय नहीं जा रहा है ? Is he not going to his office? 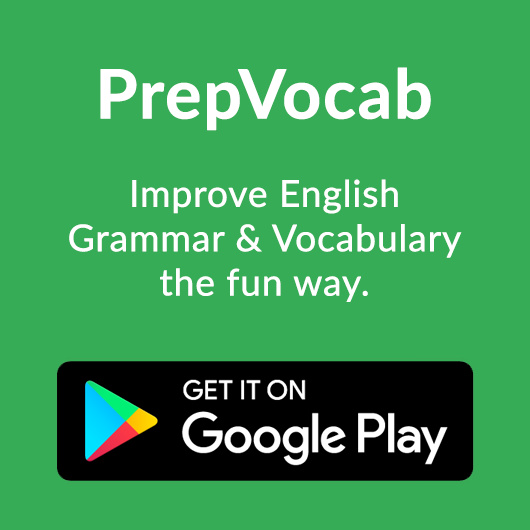 Have + Third form of verb is used. He has gone to his office. He has not gone to his office. क्या वह अपने कार्यालय गया है ? Has he gone to his office? क्या वह अपने कार्यालय नहीं गया है ? Has he not gone to his office? Have +been + First form of verb + ing + (For time) Since or For is used. Third Person Singular -----Has+been+ First form of verb + ing (For time) Since or For is used. He has been going to his office for two months. He has not been going to his office for two months. क्या वह दो महीनों से अपने कार्यालय जा रहा है ? Has he been going to his office for two months ? क्या वह दो महीनों से अपने कार्यालय नहीं जा रहा है ? Has he not been going to his office for two months? He went to his office. He did not go to his office. क्या वह अपने कार्यालय गया ? Did he go to his office? क्या वह अपने कार्यालय नहीं गया ? Did he not go to his office? First Person Singular & Third Person Singular -----Was+ First form of verb + ing. Were + First form of verb + ing. He was going to his office. He was not going to his office. क्या वह अपने कार्यालय नहीं जा रहा था ? Was he going to his office? Was he not going to his office? He had gone to his office. He had not gone to his office. क्या वह अपने कार्यालय नहीं गया था ? Had he gone to his office? Had he not gone to his office? Had + been + First form of verb + ing (For time) since or For is used. He had been going to his office for two months. He had not been going to his office for two months. क्या वह दो महीनों से अपने कार्यालय जा रहा था ? Had he been going to his office for two months ? क्या वह दो महीनों से अपने कार्यालय नहीं जा रहा था ? Had he not been going to his office for two months? First Person Singular & Plural --Shall + First form of verb is used. Second & Third Person Singular & Plural ---Will + First form of verb is used. He will go to his office. He will not go to his office. क्या वह अपने कार्यालय जाएगा ? Will he go to his office? क्या वह अपने कार्यालय नहीं जाएगा ? Will he not go to his office? First Person Singular & Plural --- Shall + be+ First form of verb + ing is used. Second Person & Third Person Singular & Plural --Will +be + First form of verb + ing is used. He will be going to his office. He will not be going to his office. क्या वह अपने कार्यालय जा रहा होगा ? Will he be going to his office? क्या वह अपने कार्यालय नहीं जा रहा होगा ? Will he not be going to his office? First Person Singular & Plural --- Shall +Have+ Third form of verb is used. Second Person & Third Person Singular & Plural --Will +Have +Third form of verb is used. He will have gone to his office. He will not have gone to his office. क्या वह अपने कार्यालय जा चुका होगा ? Will he have gone to his office? क्या वह अपने कार्यालय नहीं जा चुका होगा ? Will he have not gone to his office? First Person Singular & Plural --- Shall + Have +been+ First form of verb + ing+ (For time) Since or For is used. Second Person & Third Person Singular & Plural --Will + Have + been + First form of verb + ing +(For Time ) Since or For is used. He will have been going to his office for two months. He will have not been been going to his office for two months. क्या वह दो महीनों से अपने कार्यालय जा रहा होगा ? Will he have been going to his office for two months ? क्या वह दो महीनों से अपने कार्यालय नहीं जा रहा होगा ? Will he have not been going to his office for two months?